Being in the trade for as long as I have means you really have heard it all before, the good, the bad and certainly the ugly. Despite major efforts on behalf all players within the industry, including manufacturers, franchised and independent dealers, there is still a feeling among many car buyers that they are getting a raw deal of some sort. This could be a low part-exchange valuation or that they don’t feel the price they are paying for a car represents the value of the experience they have been given. Sales people in this business do not always offer that exceptional one to one service that an investment on the scale of a new or used car merits, and as a consequence there is often a feeling of mistrust and disappointment. The advent and constant growth of the internet has, to a certain extent, redressed the balance of power in favour of the buyer. They are now able to research and compare in a way which would have been impossible only a few years ago and this clearly gives them an advantage when it comes to ensuring they get a good deal on a car. The flip side is that some really good and experienced car dealers have suffered as a result because they can now only compete on price, with the actual customer experience of buying the car taking on less importance than before. We now live in a world of instant gratification and the internet is the perfect drug to feed this habit and buyers can take themselves right to the very end of the buying process before even visiting the showroom. The one thing which has so far eluded them is the ability to get a valuation for their existing car which is both accurate and acceptable. With car buying sites like webuyanycar and wewillbuyyourcar springing up all the time, it is clear that there is a gap in the market and companies like these are taking advantage of the fact that people are clearly not happy with the price they are being given from traditional outlets, and feel selling privately is just a big hassle they can do without, with these sites making it seemingly so easy. But people with a car to sell probably should ask themselves a few questions first. Is easy necessarily best? Is easy going to get them what their car is really worth? And is easy going to help them buy a better car than they would have otherwise? Well we think not, and if the car industry hopes to sell more cars then they need to accept that customers with cars to sell need to feel confident and happy with the price they are being offered. Of course this will mean that ultimately they will be able to potentially spend more on their next car purchase. 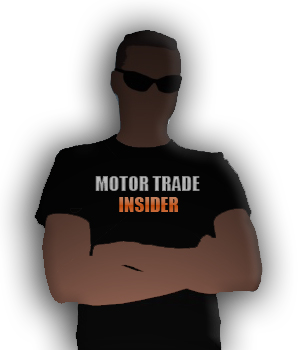 At Motor Trade Insider we feel that if the tools are available why not give people a real choice about how they dispose of their existing car? 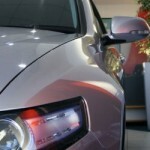 So for that reason we have decided to produce our guide Sell Your Car Like A Pro! Whilst many in the trade may be sceptical and critical of this idea they should realise that it will ultimately benefit everyone. For example if a dealer really doesn’t want the car being offered to him as a trade in, then it will certainly be better not to give a price at all rather than a value which is inaccurate and unacceptable, which then prevents the dealer from selling another car. It will also mean that by investing a relatively small amount there is a real opportunity for buyers, with more money in their pockets, to by a better car. Many car buying sites will have the car seller believe that they do not need the hassle or disappointment of dealing with car buyers and having visitors around their house, but we say if you are properly prepared, and use the tools available in this guide, you can sell your car for more money more quickly and be far more likely to get a better deal when you go into a showroom. At the very least the absolute up to date information will enable a car seller to make a completely informed decision which could ultimately save them a lot of money. 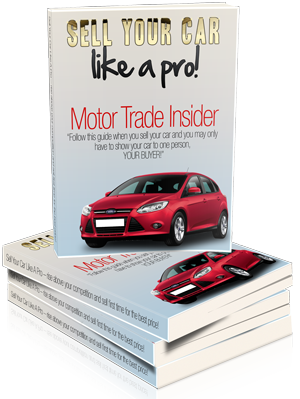 If you decide you wish to sell your car because you are fed up with what you are being offered by the dealers there is no other guide which as much comprehensive information as Sell Your Car Like A Pro! It is a one stop shop for anything you would like to know about selling cars but with the addition of a free used car valuation which you will be able to use as a bottom line figure where anything you make on top will see the small investment as money very well spent. 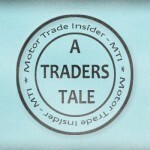 Finally we won’t just leave it there we will actively engage with you and have team of expert trade pros on hand in our dedicated forum to give advice and tips on how the process is going and what the best course of action is. If you want to sell your car and unlock the full financial potential in it you need to sell it like the professionals do. Sell Your Car Like A Pro! might just turn out to be the best investment you ever made. does anyone really believe that webuyanycar and the like actually give people what the car is worth,they are a business plain and simple there to make money by selling the car on for massive profits.there really doesnt need to be any mystery about selling a car yourself,you only need look at the growth of e-bay and the size of autotrader,i say sellyyourowncar.com!! !